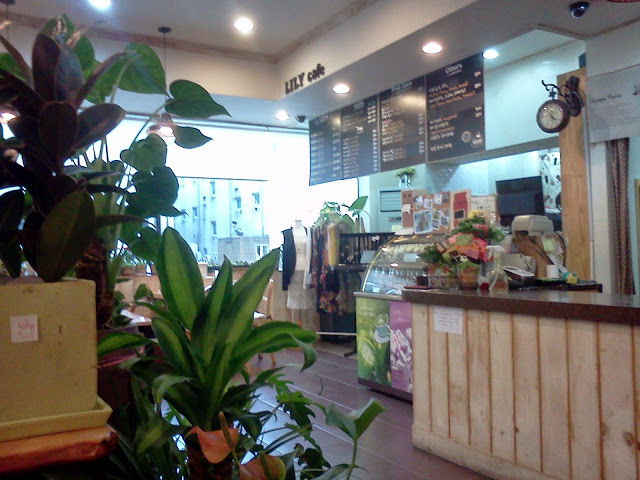 cafe – "After all it was a great big world… with lots of places to run to." I am a big fan of cats. So, you’d think cat cafes were pretty much my favorite thing in existence. It’s literally a place you can go and just hang out with cats. 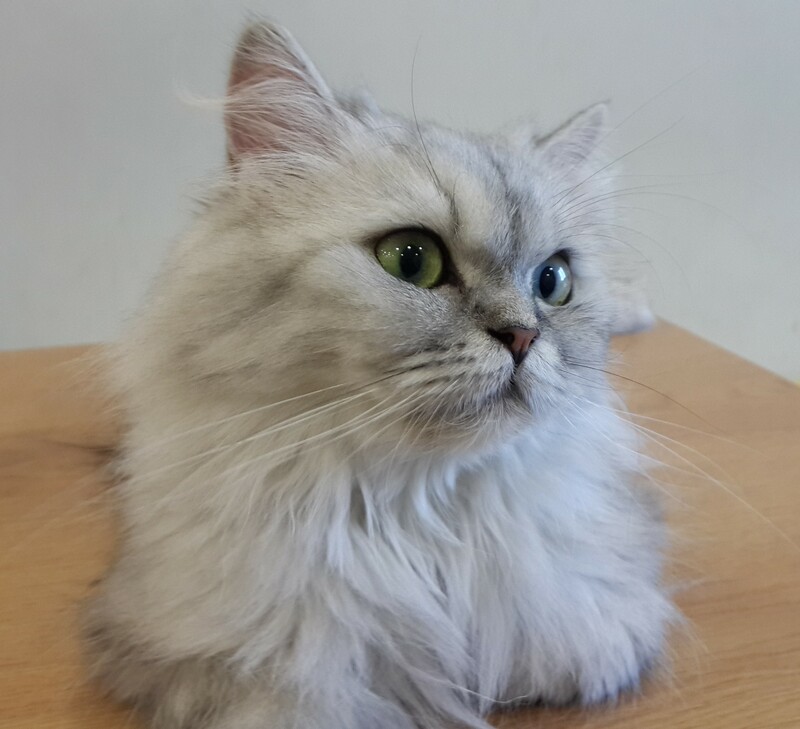 However, while I’m a fan of cat cafes, I hardly ever go to any. But I have been to some in Korea, and I also visited one in Japan. So I thought I’d talk a bit about my thoughts on the subject and then some of the differences between the experiences. First off, the idea I had about cat cafes was vastly different from that the reality was. 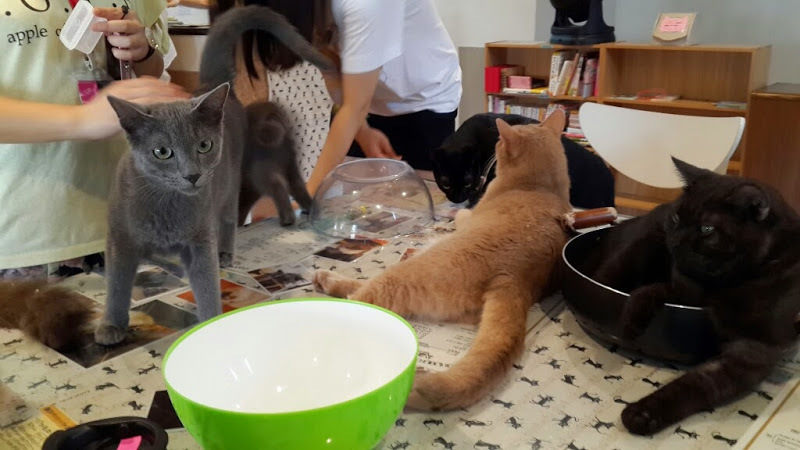 In my dream cat cafe, you arrive with a book, order a drink and find a cozy table. Then a cat comes up and jumps in your lap and snoozes. And you spend a relaxing few hours reading while the cat snoozes and purrs. Maybe it wakes up and you play some type of fun game involving a stuffed mouse. In reality, you go into a room with tons of cats, and tons of people. And the cats don’t seem like they really like people that much. But they deal with it, because they have to. Some of the cats were really active and playful. Some of them were busy chasing each other around the whole time. 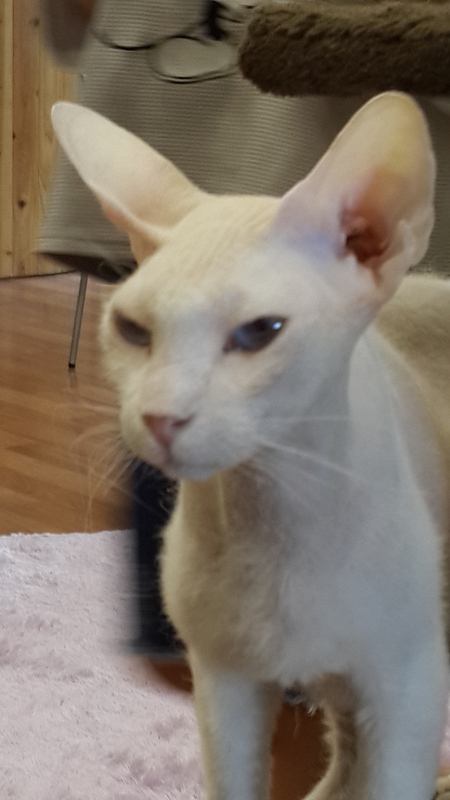 The cat cafe in Japan had some really exotic looking cats. 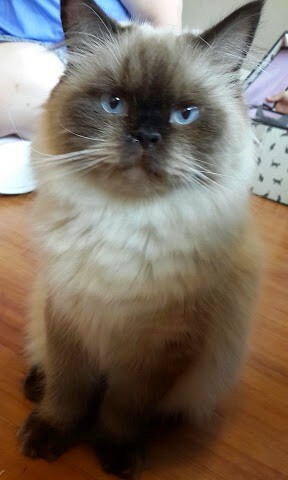 They were definitely the more beautiful than the cats in the cafe in Korea. 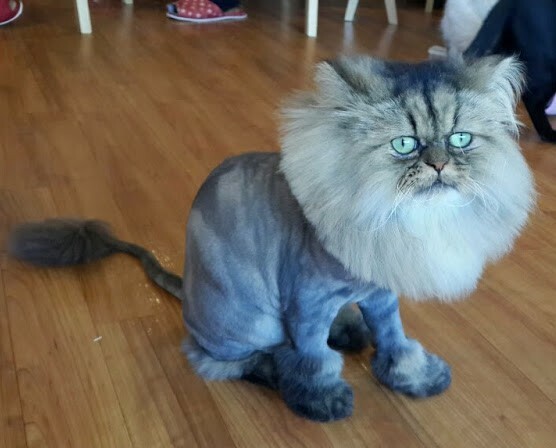 This cat was actually quite a sweetie, but the haircut. Oh, who did that to the cat. I think he could feel the other cats judging him. Now, one big difference about the cafes was that in Japan it was $10 to get in, which got you a beverage of your choice and little plastic container of cat treats. The cat treats looked like plain shredded chicken, but I wasn’t about to try and figure out if that’s really what it was. This made the majority of the cats really excited to see you… but unless you were actively handing out treats, they would move on pretty quickly. And they didn’t seem to really want to interact at all. Treats or nothing. This guy didn’t care about your treats, he just wanted to take a nap in his mixing bowl. As any cat owner knows, when you have a cat, everything you own becomes a cat bed. They were pushing the boundaries on this at the cafe. 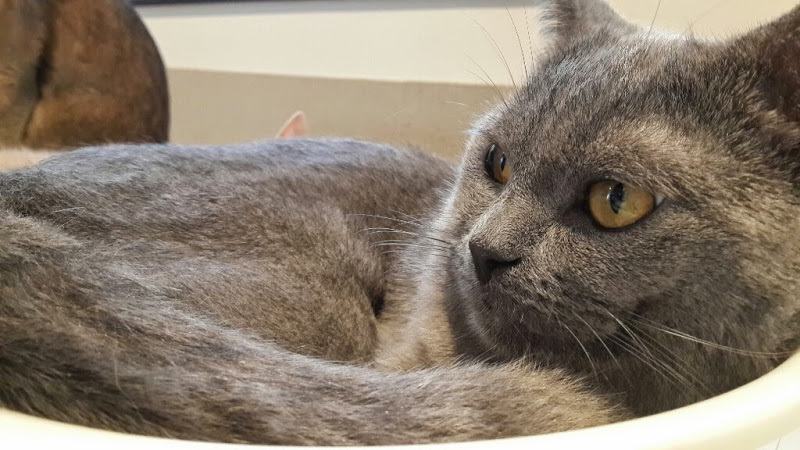 Wok, fishbowl, mixing bowl, colander… EVERYTHING’S A BED. 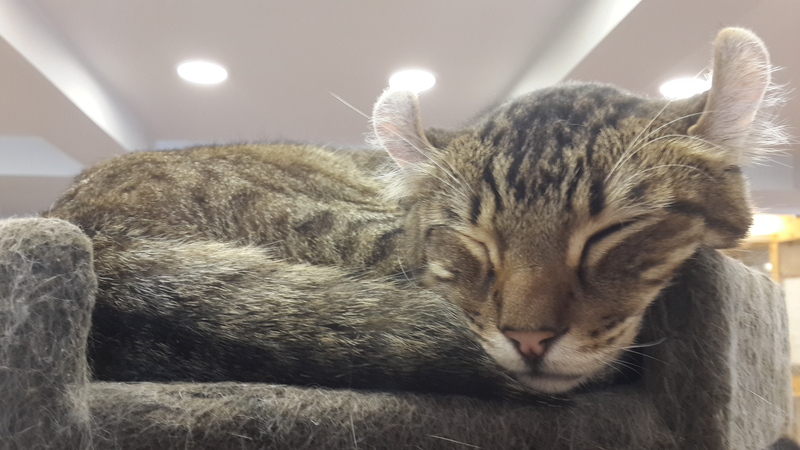 The other downside to the cat cafe in Japan (other than the greedy, treat hungry cats) was that there was a strict one hour time limit. The upside of that was that they controlled the number of people that went in, so it wasn’t very crowded. We actually had to wait for an hour before we were allowed in. But once we were there, the hour passed by so quickly. In Korea, there was no time limit. And it was only $8, but you didn’t get any treats. The lack of treats made the cats less likely to come right up to you, but they seemed overall more interested in playing. Overall these cats seemed a little less exotic, and a little more housecat. But there were still some beautiful stand outs. And the highlight of this cafe was the huge cat jungle gym that the cats mostly liked to sleep on, but some of them were having fun playing. I was a little worried about the sanitation of this cafe however. As we walked in, we noticed a cat sitting by the espresso machine, head inside the container for foaming the milk for lattes. At least he wasn’t getting lots of hair in the milk? 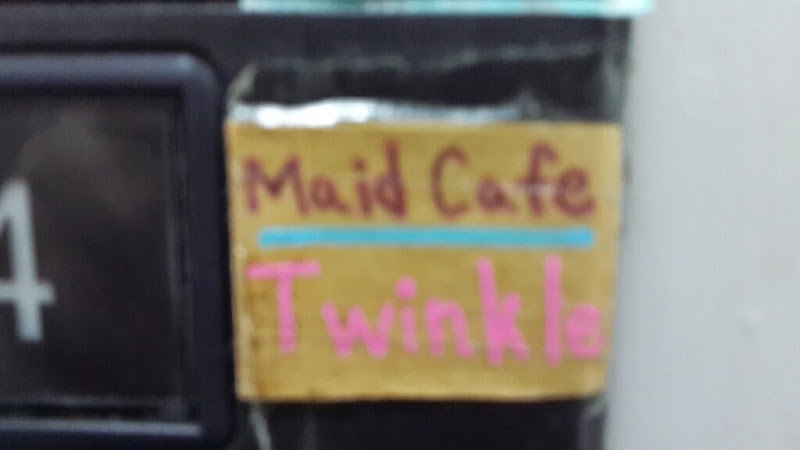 One last note: In the elevator to the cat cafe in Japan, we noticed there was a maid cafe just upstairs from it. It’s basically a cafe for older men, where they go in and get served by young Japanese women in French maid’s costumes. How wonderfully fetish-y. ??? 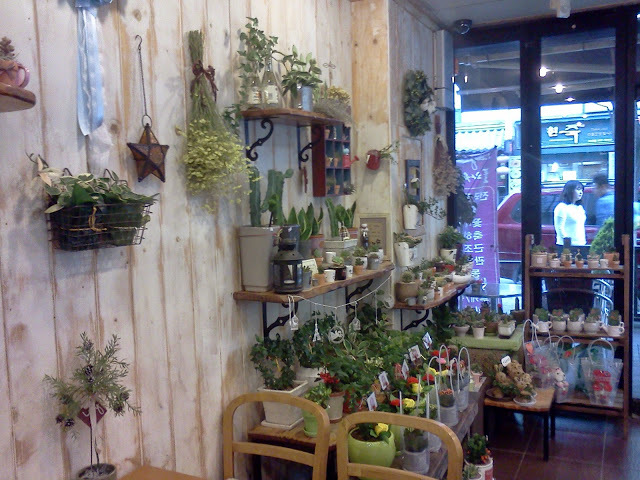 While on my trip to Jeju and U-do I met some lovely people that live in Daegu, a town about 3 hours from where I live. They were very nice, and I was keen to go and visit. And then, I saw a post she made about eating in a cafe in a plane. That sealed the deal, and I was on my way to Daegu. 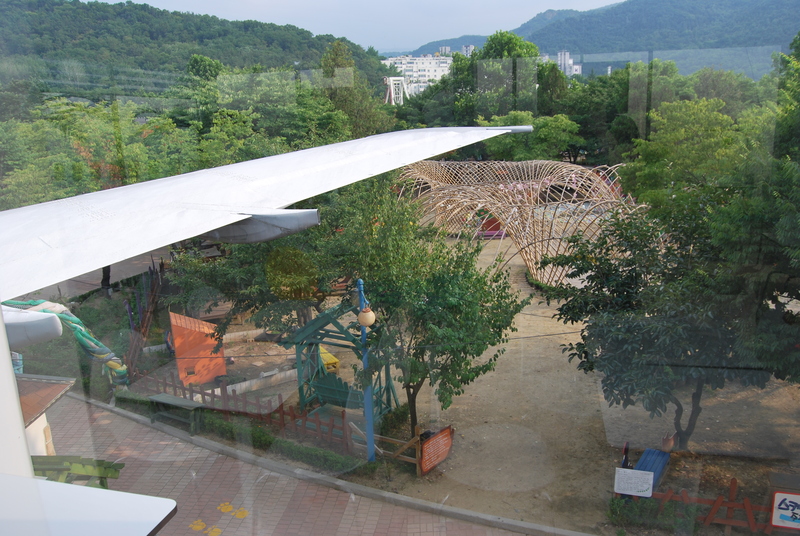 Turns out Daegu is a really interesting place, with lots to see. 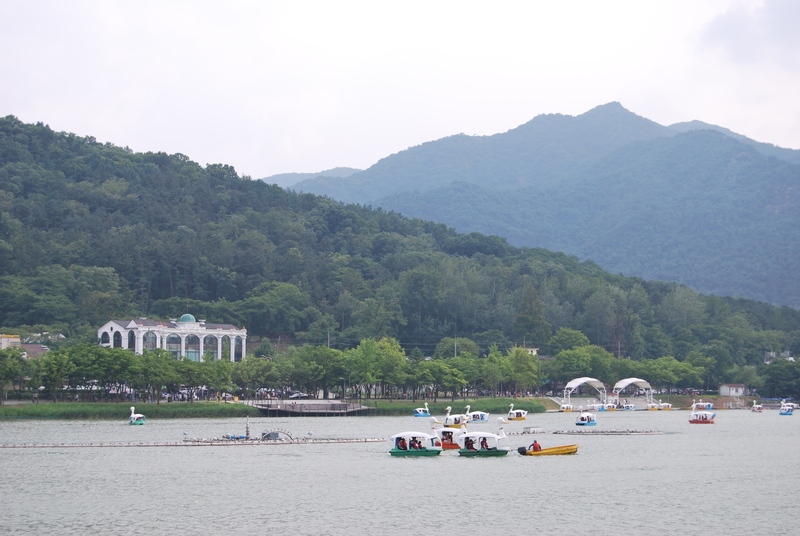 My favorite place that we went to was Suseong Lake. I was only going to go for a day trip, so I got an early start. 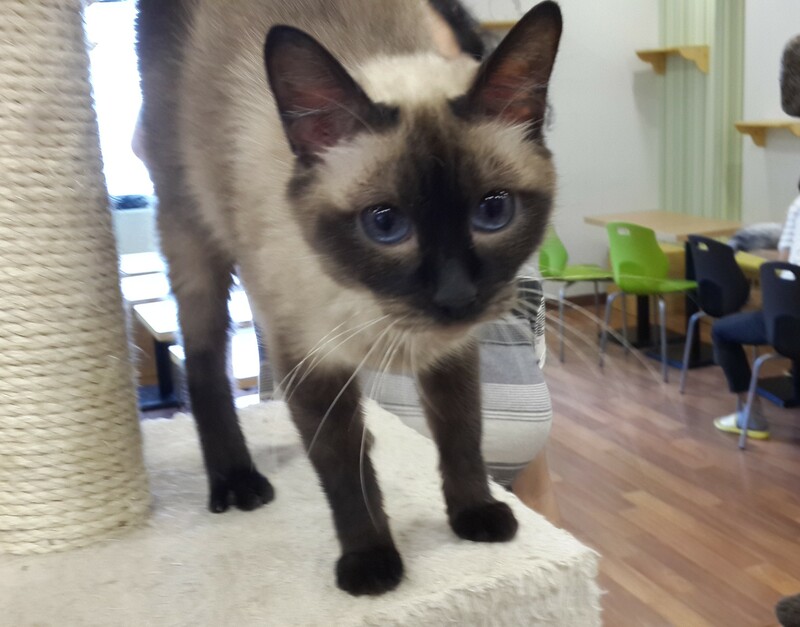 We explored a bit of Daegu, had lunch, and went to a cat cafe, and then it was time for dessert. We headed to Suseong Lake. On the monorail! This was not my first time on a monorail, but it is still eye opening how much better this system is than the standard train. Quiet, smooth, easy. 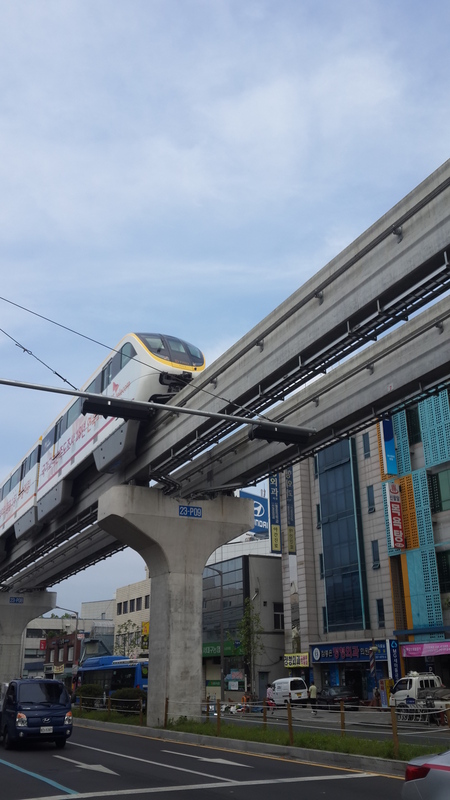 Now, like most big Korean cities, Daegu has a subway system that you can use to get around most of the city. The monorail links up to the subway (by, at one point, the longest escalator in Korea*) Easily what I thought was the most interesting thing about the monorail were the windows. They were regular windows most of the time, but when passing an apartment building, the windows went opaque, to preserve the privacy of the residents. At first, I didn’t know what was happening. The windows just turned white, I thought it must be fog or something… and then they snapped back to transparent. I was floored. Living in Chicago, I rode the red line frequently. It’s silly how close it goes to people’s windows. I thought this was such an interesting thing that they thought of. We got to the lake and the first thing you notice are the duck boats. We wanted to ride one, and planned on it, but ended up running out of time. More pressing (for me) was the plane. We rounded the lake and then BAM! airplane. 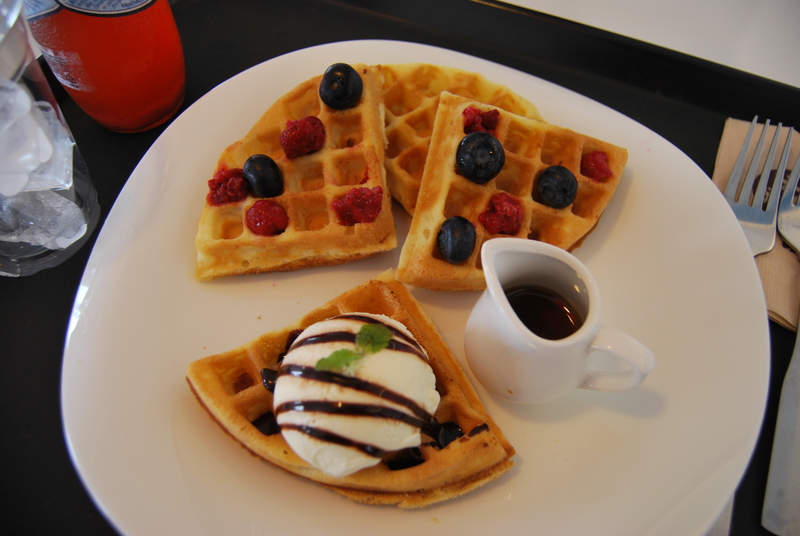 The Snow Factory, waffle and bingsu cafe. 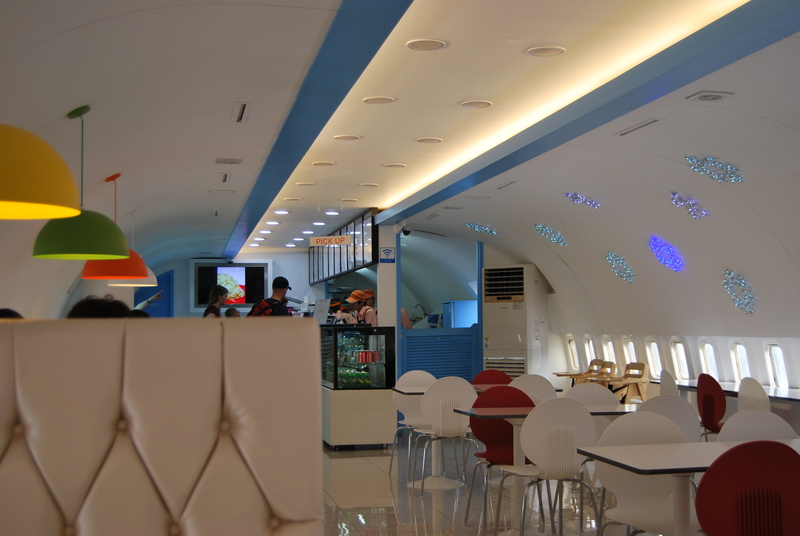 The interior is everything you would expect from a cafe in a plane. The one thing I thought was really strange: the lack of people. 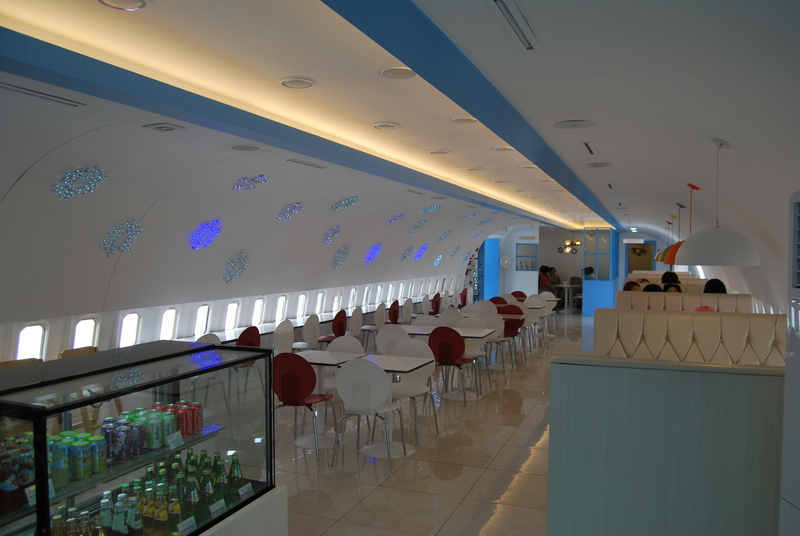 I feel like this should be a tourist draw just for the kitschy “plane cafe” (that was, after all, why I was there.) But there were hardly any people there. And this was about 4pm on a Saturday afternoon. Even at my normal cafe, on Saturday afternoon I often have to wait for a table. Not so with this spot, we had our pick of tables. 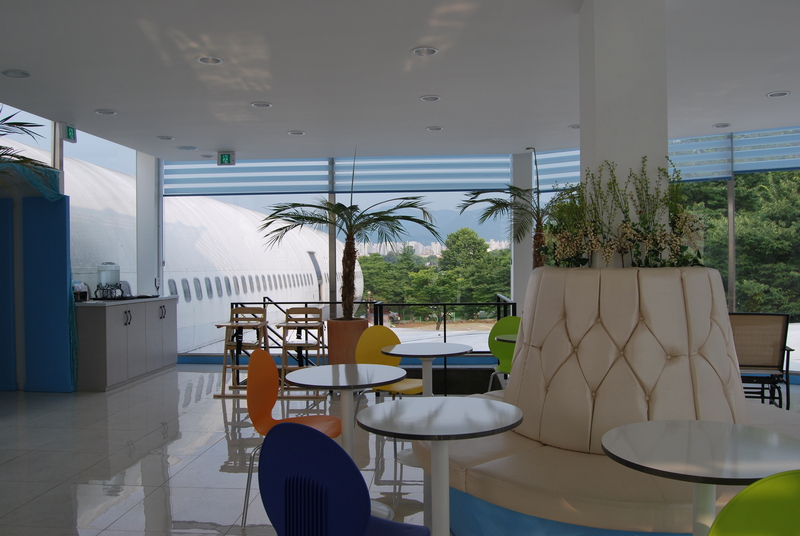 You could choose to sit in the cabin area, or a seating area that was built off to the side. It was decorated with palm trees, because naturally. We decided to sit inside the plane. Because, plane. And we ordered a waffle. Now, the waffle was both surprisingly good, and a disappointment at the same time. Which, I think, is actually quite difficult. The waffle itself was perfect. Not dried out as I have had so many times in Korea, and the ice cream was delicious. But the lack of berries on the vanilla berry waffle was a little sad. Also, for the price I think they could have splurged on more than 5 blueberries. Had maple syrup though, so it’s all good. 🙂 They also had blood orange sanpelegrino. So, win win. And to be fair, they had a pretty good selection of waffles, including savory waffles that sounded really interesting. Perhaps I just picked a not so great one. And then it was out to go explore some more. And what do we see out the window? Why, it looks like a children’s play area. It is! In fact, it’s SUSEONG LAND! I’ll cover our time there in the next blog. 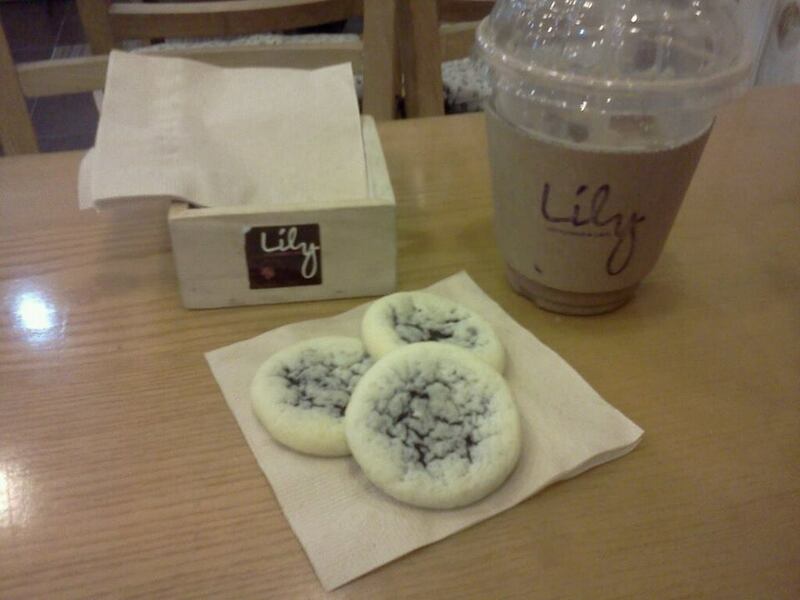 One of the things that surprised me when I came to Korea for the first time, was how many coffee shops there are. There are coffee shops everywhere! A coffee shop on every corner is not far off from the truth, as I am looking out the window of my cafe, and looking at another cafe across the intersection. Tea is not as common as I had assumed it would be. It’s all about the coffee, which for me means it’s all about the iced mochas. One great trait of coffee shops here is they make mocha with espresso and hot cocoa mix, which makes it richer and chocolaty-er (chocolatier??) Anyway. It’s delicious. So, I’ve found my cafe. It’s a 5-10 minute walk from my apartment… and I pass at least 4 coffee shops on the way, but this one is totally worth the distance. Because it’s full of flowers. 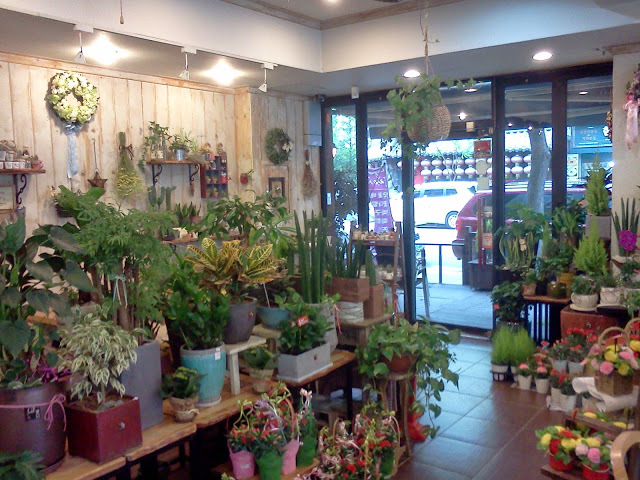 There are tons of cute flowers and great vintage home-y things to decorate your home with. 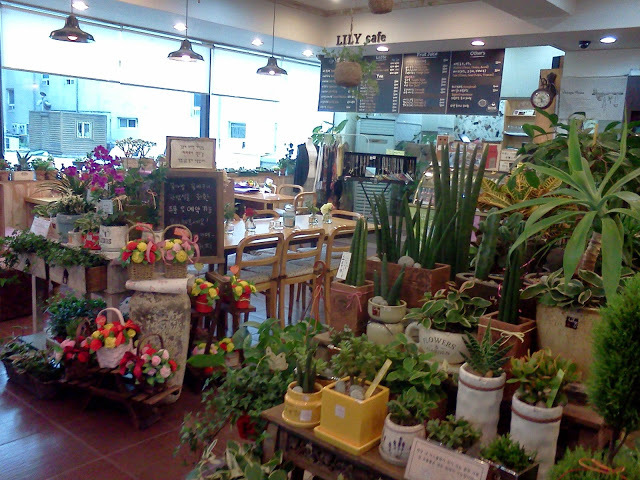 I like this cafe because I’ve rarely been there when it is very busy. It’s always a calm place to sit and relax for a little while. 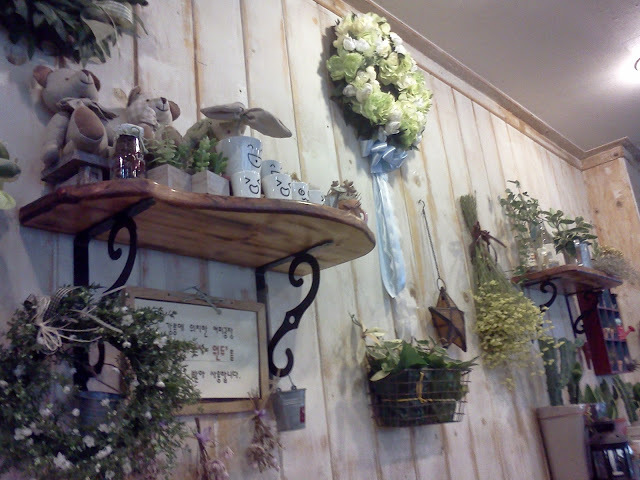 Also, all the flowers kind of block your view of the rest of the cafe, making it feel more private and intimate. In addition to everything else, Lily also has a small selection of vintage clothes and jewelry for sale. They also have snacks. I have foregone all the snacks except the really-should-be-illegal- they’re-so-delicious brownie cookies. Which are basically sugar cookies baked around brownies. You know it’s going to be a good day when it starts off like this! So, if you’re ever in Osan looking for me. You can find me here most weekend afternoons. And even if you’re not looking for me. 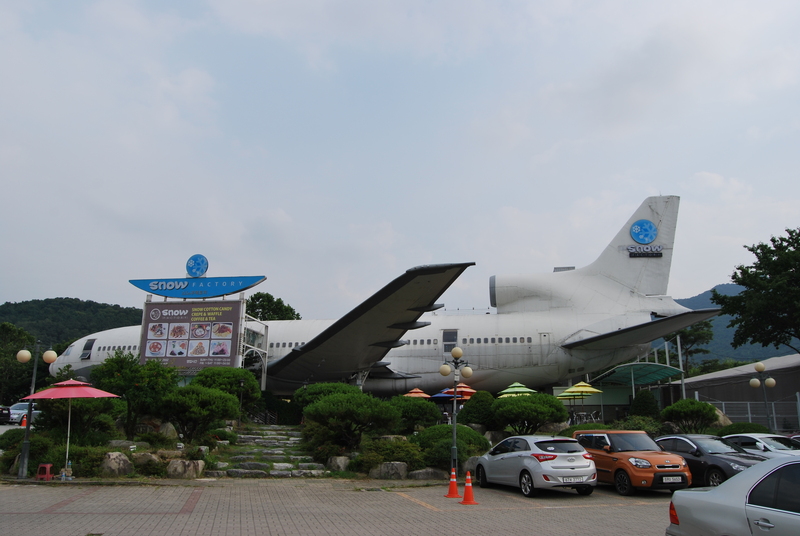 If you find yourself in Osan at any point, it’s worth a stop.